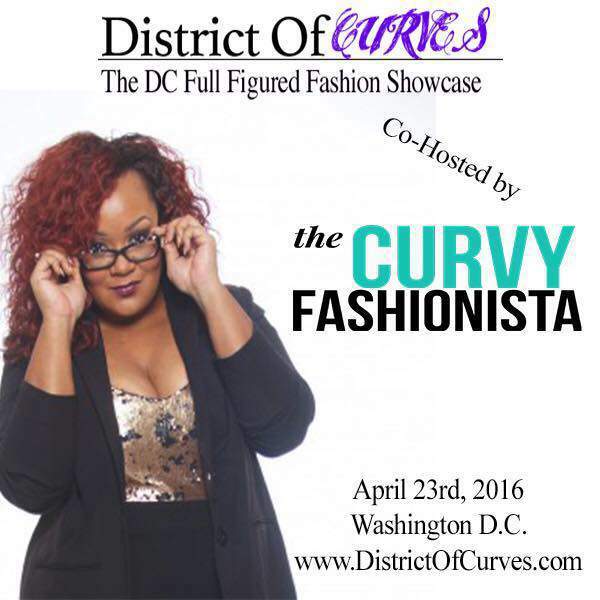 DC Meet me at District of Curves- The DC Full Figured Fashion Showcase! So, what are you doing the weekend of April 23rd? Why not join me as I cohost District of Curves! This weekend shines the light on the plus size community in Washington DC and its surrounding areas! Created by Mickey Armstrong, District of Curves is back for it’s 3rd year, providing a platform for models, designers, retailers, boutiques, and all who cater to the Curvy Community, to showcase their talents, designs, products, and services, and I will be in the house! I love that there are so many plus size fashion events happening, as the community offers opportunities for others to bring their visions to life! There is seriously room for everyone and more than being a blogger or model that adds to the community! We all have various gifts and Mickey is using his to build the DC Plus Size Fashion Community! Over the weekend, you can expect a variety of events and workshops to build, develop, and to shine the light on the community! A Modeling Workshop, presented by The Reussir School of Modeling, Acting, & Refinement. Gotta love it. A seminar titled “Loving Yourself Through Fashion” presented by Fashion Blogger Natasha Nurse of Dressing Room 8! Heyyyy boo! And of course, the main event, the DC FULL FIGURED FASHION SHOWCASE which I will be cohosting! So where is this all happening? All three District of Curves events will take place on Saturday April 23rd, 2016 at The Holiday Inn Capitol! So how can you learn more, get tickets, and participate? Visit DistrictofCurves.com to get the 411 on all things plus size fashion in DC! Will I see you there? I do hope so! Atlanta! Get Your Feet Spring Ready with Me and Amopé THIS SATURDAY at the Lenox Mall! I can’t wait to host this show with you! I use to be a full figure model, I will love doing it again! How do I get started?